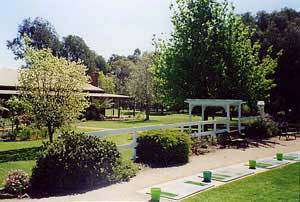 Golfers Resort Yarrawonga was developed by Golf Professional Glenn McCully and his wife Jan to host the Glenn McCully Golf Schools and is today the longest running privately owned residential Golf School in Australia. With their quality Accommodation and facilities the Resort is also very popular with Golfers as a base to play some of the BEST inland courses in Australia. Their Murray River Golf Escape packages offer great value for money and have the flexibility to suit the needs of all groups.